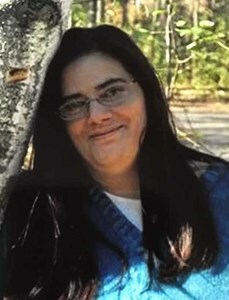 Jayna Sue Rusch, age 40, of Greeley, Colorado, passed away Tuesday, June 26, 2018 after a brief illness. She was born on April 15th, 1978 in Oshkosh, Wisconsin. Jayna was a beautiful wife and loving mother. She believed that family was important and would be the first to lend a hand or ear and offer support where needed. She loved nature and being outdoors. Her heart was in Colorado in the mountains. She also enjoyed country music, spontaneous adventures, the beach, NASCAR and the Green Bay Packers. Jayna is survived by her husband, John and her children Tristian, Cameron, Gavin, and her step-children Mathew and Ashrah. Her grandmother, Virginia Miles, Parents Gary (Linda) Amsrud, Deborah Hand and sister, Jennifer Amsrud. She was a niece to Sue Burroughs, who was also her god-mother as well as an aunt to Tyler Seaman. Jayna is also survived to numerous cousins. She is preceded in death by grandparents, aunts, uncles and a special cousin, Sarah. A Christian service will be held at the Lakeview Memorial Park Chapel on August 11, 2018, at 1:00 P.M. Interment will be held at a later date for the intermediate family. Stoddard Funeral Home in Greeley Colorado as well as Newcomer Funeral Home in Green Bay, Wisconsin is assisting the family. A special thank you goes to the doctors and nurses at UC Health Medical Center of the Rockies in Loveland Colorado. Your support and dedication to caring for her will always hold a special place in our hearts. Also to the people that helped make this service happen. Your monetary donations helped tremendously. In lieu of flowers, monetary donations are appreciated to help with the cemetery costs. Add your memories to the guest book of Jayna Rusch. I loved the talks we had when I was down and the fun we had when it was just a normal day. I will miss you a great deal. You were a special person and now a special Angel. Love you Jayna and always will and now will miss you always. I miss you so much, your beautiful soul leaving us has been really hard to take. I miss your silly banter over football teams. I miss how we would talk all day about everything and anything you always lent a ear and advise. I miss how we could talk and compare our kids, thank you for taking care of Bailee and Luis. I never got to tell you my appreciation. Last time I talked to you in the hospital you whispered my name when I asked if you knew who I was. I told you to get better so we could go to the mountains and you said "I'm trying ". I took advantage of the doctors I thought for sure they would heal your body. When John told me you were too sick to be healed I was mad at God. I was mad he wouldn't make you better and he was taking you from all of us especially the boys. You've been in my dreams and I love when you visit me. I'll see you soon momma I promise. Just chill and look down on us.